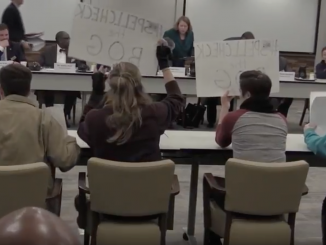 Protests erupt at a Board of Governors meeting, resulting in four arrests. 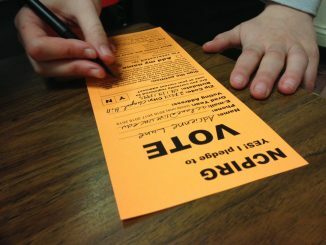 A new law has students confused about how to cast their votes during the upcoming election season. The elimination of the state tax credit on solar energy has some advocates worried about the future of the growing industry. One of students arrested at the Board of Governors meeting talks about the protesters’ agenda, goals, and plans. Students disrupted the Board of Governors meeting. 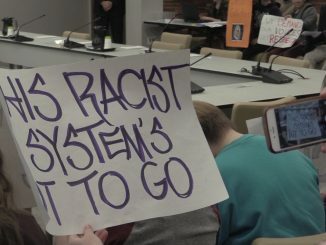 They protested the racial climate on campus and oppose Margaret Spellings’ hiring as UNC System President. UNC students are questioning how a new voter ID law will apply to them when they vote in the 2016 primary election. After months of conversations, administrators and student activists are starting to have more open dialogues. If your New Year’s resolutions rarely make it past January, UNC psychologists have some suggestions on how to keep your goals on track. Legislators eliminated a state-wide tax credit benefiting the solar energy industry at the end of 2015, leaving many solar activists worried about its future.